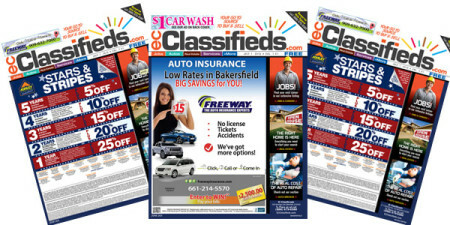 EC Classifieds' inaugural edition is hitting the streets today July 1, 2015 with 95,000 copies at distribution points in the areas of Bakersfield, Orange County and Inland Empire. The new publication was created after the Penny Saver closed its doors in late May, leaving more than 678 employees out of work and many companies with decreased options for reaching local customers. Portada talked to Martha de la Torre, CEO of El Clasificado, about the new publication and its growth prospects. Martha de la Torre, president and CEO of El Clasificado (photo), knows when an opportunity presents itself. In 1988 she co-founded weekly Spanish-language publication El Clasificado with her husband, Joe Badame. Now distributed in most of Southern California, she grew El Clasificado into the largest Spanish-language classified newspaper in the United States. So when one month ago, de la Torre heard the news that the Penny Saver, the coupon filled magazine that has appeared in mailboxes across California for more than 50 years, was closing an opportunity arose. "First I would like to say that it was not our plan to launch an English publication when we first heard the news about the Penny Saver closing. I was on my way to a wedding and a new product was the last thing on my mind. We have former Penny Saver employees already on our team. They learned about the closure within minutes of it happening. Our team reached out to top sales reps to recruit for our growing company. I connected with them on LinkedIn and within several days of the Penny Saver closing we had hired four top reps from the Penny Saver. I went out on calls with them and realized that El Clasificado was not enough to fill the gap of leads that the Penny Saver provided especially leads coming from Latinos who don’t speak Spanish," de la Torre tells Portada. De la Torre adds that on "June 10, 2015 we met to discuss the possibility of launching an English version of El Clasificado. Our strategy was to fill the gap where our resources already existed." Our new sales reps formerly from the Penny Saver had many clients already willing to try El Clasificado and because of our reputation for quality distribution were happy to buy into an English version. We reached out to several of our key customers and they were on board for an English product. On June 10, 2015 we met to discuss the possibility of launching an English version of El Clasificado. Our strategy was to fill the gap where our resources already existed. In terms of production and distribution of the just launched EC Classifieds (weekly circulation 95,000), de la Torre says that "this was easy," We have an established production and distribution system that already processes El Clasificado and El Punto, a Spanish-language weekly also containing editorial content, to our Spanish speaking communities and our Quinceanera.com magazine to English and Bilingual readers." However, de la Torre acknowledges, this is not enough: "We know that we have to expand our outreach to our English speaking community. We are expanding our circulation in our Stater Bros, Subway restaurants, Ralphs and Vons locations for EC Classifieds as well as adding more restaurants and shopping centers to our distribution network in heavily bilingual and African American communities. Our distribution network already covers California from Fresno down to the Mexican border. It was just a matter of filling the gaps where the Penny Saver was strong and overlapped our existing distribution network. We met with key customers and asked them if we were to launch an English version of El Clasificado what geographic areas did they need most. We asked our sales force what areas could they sell right away. Then we connected the dots." It was just a matter of filling the gaps where the Penny Saver was strong and overlapped our existing distribution network. Penny Saver had a circ. of 9.1 million, but EC Classifieds circulation is only 95,000. When asked about how she did come up with the new circ. in terms of optimizing reach and advertising, de la Torre notes that she thinks "that 95,000 is going to grow fast. We are getting so many requests to grow in other areas." "The Penny Saver was a home delivered product. We tried that before and it didn’t work for us. We are a demand distribution product, people pick up El Clasificado when they are ready to buy and shop for a product or service. Our pick up rates average 88%, we are very efficient. A circulation of 95,000 won’t replace the Penny Saver's circulation of 9.1 million but we don’t need to. We are growing because we are willing to take calculated risks. I will venture to say that 500,000 circulation can completely fill the gap in California. The added circulation is also a great way to promote our digital products and events." A circulation of 95,000 won’t replace the Penny Saver circulation of 9.1 million but we don’t need to. 500,000 circulation can completely fill the gap in California. De la Torre notes that she has been actively recruiting Penny Saver employees throughout all of 2015 and now has hired four new employees, is working with a few others as consultants and looking forward to hiring more. El Clasificado has always had respect for the Penny Saver and its people culture especially during the years when Pete Gorman and Loren Dalton were running the organization. It is unfortunate that recently the new owners could not pivot and innovate fast enough to meet the demands of our changing marketplace." EC Classifieds is the first EC Hispanic Media venture that is 100% targeting the English community. "The publication is targeting people like herself says De la Torre. " 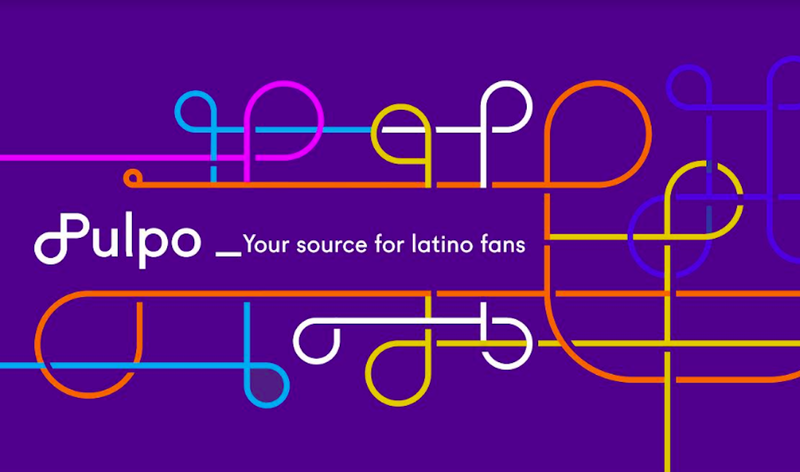 I was born in the U.S. and barely spoke Spanish until El Clasificado was launched. I still prefer to consume my media in English. Many think that launching in English is not a good idea. I don’t think that the print market is necessarily growing, I just think El Clasificado and EC Hispanic Media now have a chance for a bigger piece of the print pie in California." It is well known that the Hispanic population is now growing though an increase in U.S born Hispanics rather than through immigration. U.S. born Hispanics tend to be bilingual or English-dominant. "It is estimated that 63% of the California Hispanic population is native born. Now we have a product to reach this demographic that probably prefers to read in English," says De la Torre. She also points out that in California good cell service and Wi-Fi is not always available. "People are always commuting. For someone who is looking for a job or rental, a shopper that can be easily browsed in print still comes in handy." Digitally, De la Torre's company launched a quick online marketplace in English for EC Classifieds. "By September we will have a robust online and mobile marketplace in English for EC Classifieds using our award winning ElClasificado.com platform that ranks in the top 50 classified shopping sites in the U.S," she says. I don’t think that the print market is necessarily growing, I just think El Clasificado and EC Hispanic Media now have a chance for a bigger piece of the print pie in California. De la Torre expects growth in categories including jobs, career colleges, restaurants, real estate and autos. National Advertising is also available "Our glossy insert option is a very cost effective solution for major advertisers. This product is available in our entire circulation of 605,000 for both EC Classifieds and El Clasificado," she claims.